Ludacris is an American rapper and actor from Champaign, Illinois. He’s also the founder of ‘Disturbing tha Peace’, an imprint distributed by Def Jam Recordings. You probably know him well from the Fast & Furious’ franchise if you’re a movie lover. As of 2019, Ludacris’ net worth is estimated to be $25 million; making him one of the top 100 richest rappers in the world. Ludacris was born on the 11th September, in Champaign, Illinois. He doesn’t have any siblings, and although he was born in Champaign, he grew up in Chicago. Ludacris attended Emerson Middle School in Oak Park and Oak Park & River Forest High School for a single year. The family then moved to Centreville, Virginia, and Ludacris attended Centreville High School for one year, as well as Banneker High School in Atlanta, Georgia; which he graduated from in 1995. Essentially, the family moved around a lot, and he attended a large number of schools. Ludacris wrote his first rap when he was only nine years old, and joined a rap group when he was twelve. After graduating high school, Bridges studied music at Georgia State University. Ludacris was initially an intern at the radio station Hot 97.5 in Atlanta. He then moved up to become a DJ at the station, and was able to collaborate with Timbaland on the song ‘Phat Rabbit’. From there, Ludacris released his debut album, ‘Incognegro’. Although the album wasn’t very successful, Ludacris still went on to produce many successful records. Aside from rapping, he also established a career in acting, after starring in the Fast & Furious franchise; of which he’s appeared in 5 of the 8 films in the series so far. Ludacris starred alongside stars such as Dwayne Johnson, Jason Statham, and Vin Diesel. As of 2019, Ludacris’ career is an impressive $25 million. View our larger collection of the best Ludacris quotes! Although Ludacris may not have been active in the rap game for a while, his acting career has ensured his continual success up to the present moment. Ludacris’ net worth is estimated to be $25 million, putting him on the list of the 100 richest rappers worldwide. 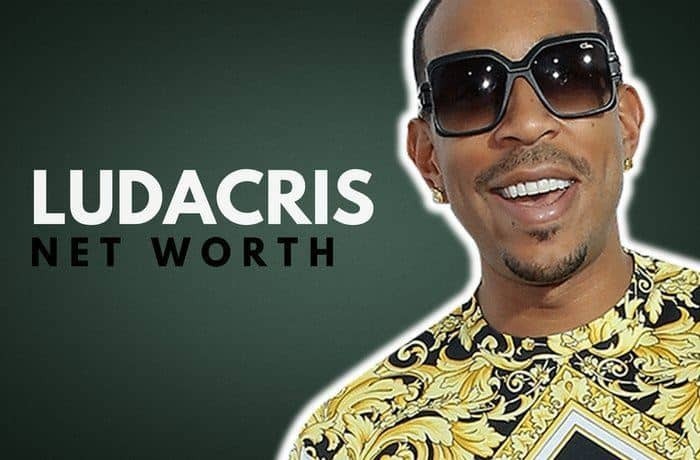 What do you think about Ludacris’ net worth? Leave a comment below.